"Good internet communications are essential ... Toucan has excelled, repeatedly surpassing expectations"
"Don't spoil the ship for an 'apeth of tar"
How many great websites do you see that fail to deliver because they're slow or dysfunctional? Maybe you've got one and don't know about it as all you see is a lower return from your site than expected because website visitors are not patient people, if they don't see what they want quickly they move on to another site that does deliver and your business opportunity is lost, possibly for ever. As developers we work on a range of servers that deliver people's websites, both here and abroad and we see vast differences in performance. Take an example of a UK company wanting to market to a UK audience and therefore requires a reasonable performance from Google, however they host abroad. Anecdotally, and backed by thousands of web developers' past experiences, Google knows where your server is by its IP address and therefore makes an assumption about the location of your market. (tech note: as shortage of available IPv4 addresses becomes a major issue we believe Google will ultimately pay less attention to the geo location of your server). 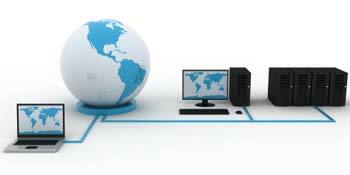 The bottom line is choose a host provider within the geographic location of your market. You get what you pay for and you can pay next to nothing for hosting at one end of the scale and significantly more for a fully provisioned host. Coming back to the prime business criterion of why businesses need hosting, it is to deliver their online message and customer facilities fast and efficiently so as to gain maximum advantage - you want to be the best performer over your competition. At the lower end of the market servers are max'ed for profit, they have to be thus, so that the host provider can make a profit. This means that, by our standards, the servers are overworking. Monitoring these we see server processors running between 95% and 100% during the working day. They struggle to deliver their clients' websites and online resources. Toucan Internet's servers are dual processor and barely get above 15% capacity. They're deliberately oversized to give maximum performance with resilience as they are hosted right on the Internet back bone in London's Docklands. Cost'wise Toucan is comparable with all business class host providers and the added bonus you get is that you can readily talk to someone who knows you and also is involved and passionate about your online success. ............... in fact anything that you need for a commercially successful Internet presence. If you're looking for a low cost or start-up website that is still built to the same exacting standards with a content management but at a lower cost you may want to consider a Wordpress website from us.